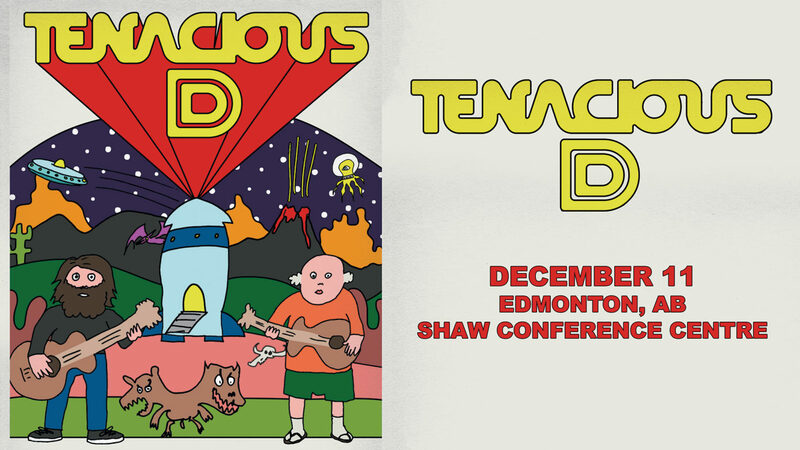 It’s the moment we’ve all been waiting for… The Greatest Band in the World, Tenacious D, returns to Edmonton on December 11, 2018 with guests. This “alternative-comedy” rock show is a must-see experience that promises to keep you entertained all night long! Jack Black and Kyle Gass form the one-and-only show-stopping pair we love! The duo started playing together in Kyle’s studio apartment on Cochran Avenue in Los Angeles. No one could have ever dreamed of where the band’s genius would take them, but take them it did… The band had a variety series on HBO that aired in 1999. Their self-titled album was released in the fall of 2001 with Epic Records and was quickly certified at gold-selling status, and has since been certified platinum. The duo completed their Destiny – for New Line Cinema,which was released in November 2006. Time: Doors 6:30 p.m. / Show 7:30 p.m.
Tickets (incl. GST) $55.00 (plus service fees). Public on-sale Friday, August 24 at 10 a.m.
Live Nation Pre-sale Wednesday, August 22 at 10 a.m.
Facebook Pre-sale Wednesday, August 22 at 10 a.m. This is a general admission all ages show.